The Government of Dominica and Secret Bay Residences Ltd, on February 18, signed an agreement under the economic arm of the Citizenship by Investment Programme for the construction of forty-two luxury villas. The construction of these villas will be done over a 36 month period and upon completion will provide permanent employment for 120 Dominicans. The Secret Bay Hotel is Dominica's first five star resort and has received international awards for great customer service and ambience. Prime Minister and Minister for Finance Skerrit says he is pleased that government could work collaboratively with Gregor Nassief, proprietor of Secret Bay Residences Ltd, for the construction of these villas. "Mr. Nassief we have exceptional confidence in your ability. You are one of the hardest working Dominicans I have ever met. A very simple going, tough gentleman, but you do things always with a sense of pride and commitment to the environment and I have no doubt that this project is going to succeed and we're going to see one of the best results in the Western Hemisphere here in Dominica." The nation's leader revealed that construction of these villas should commence within 90 days. "So, this is no 'pie in the sky' agreement, this is not a façade or a show, it is a practical undertaking between the government of Dominica and Secret Bay Residencies. Mr. Nassief, I will be available to go to the market place to help promote and market this project, so that we can get the investors to invest in this project." PM Skerrit says the construction of these resorts under the economic arm of the CBI Programme is to expand Dominica's economy by the creation of sustainable jobs for citizens, and to ensure that Dominica's economy is resilient. 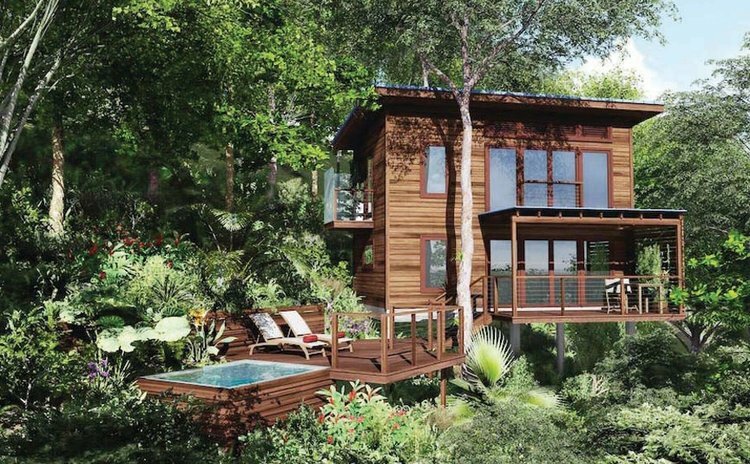 Meanwhile, Chairman of the Citizenship by Investment Programme Ministerial Committee, Dr John Colin McIntyre is also of the view that the additional 42 villas which will form part of the Secret Bay Residences is a major enhancement to Dominica's tourism product. "It is my understanding, that the new network of global high network individual groups made up of billionaires is a rapidly growing one. These are persons with money to spend, so the cost of a week's stay at Secret Bay would be pocket change for any one of them. I am also convinced that with a good investment strategy and marketing plan, the residences will be able to operate at full occupational level. Personally I am very happy to be associated with the Secret Bay Residences project and on behalf of the CBI Ministerial and the Technical Committee, I wish to congratulate Mr Nassief on reaching this milestone and to pledge my continued support. I look forward to the ground-breaking and start of the project very soon."